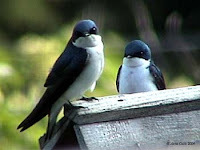 Tree swallows are already here and have claimed the nesting boxes. Swallows eat insects. There are enough now to sustain them, so the weather is definitely heating up. 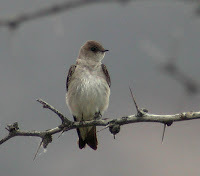 The park attracts a few pairs of rough-winged swallows (second photo). You will see them very soon, swooping and diving over the rocks on the north side of the boat basin, east of the club house. See if you can figure out where they are nesting. (Don't look up.) 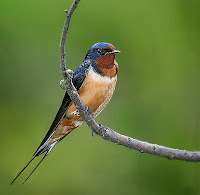 Barn swallows will also arrive soon. 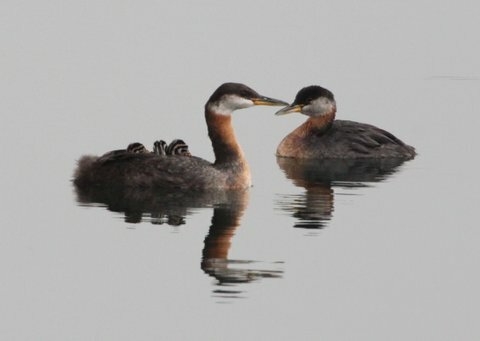 They will attach their nests to the under-decking of the observation platform at the edge of the large pond.